If there�s one thing the Kim, Kourtney and Khloe clan are famous for, it�s frolicking at the beach in an array of itsy bitsy bikinis. If you love that curve-flaunting, lighter look of a triangle bikini, but normally favour tops with enough support to lift up a small city, what can you do? 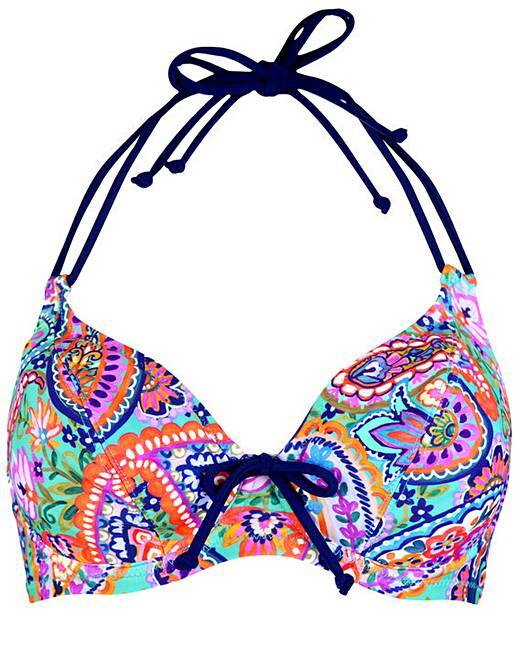 Relax, fashionistas - our Bohemia halter underwire bikini top has you covered. 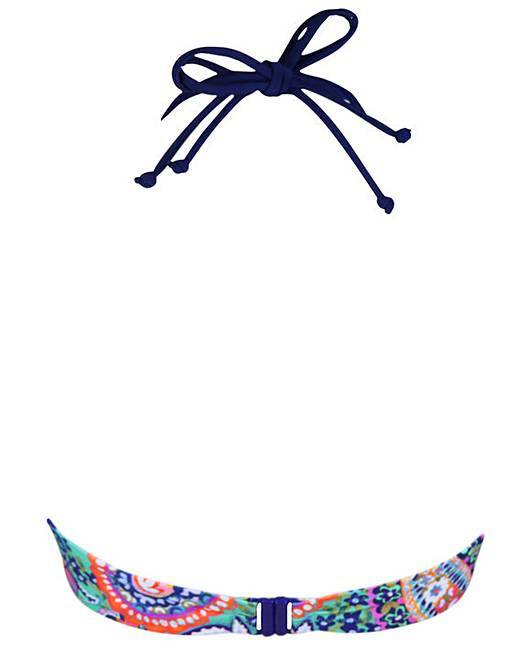 Based on the Starboard style that flew off the shelves, its cool double string tie and triangle shape has all you need to release your inner Kardashian. Yet its innovative design unique to Pour Moi has built-in underwire to boost your shape and provide support, even up to a G cup. Pair with gold hoop earrings and mirrored sunglasses, then watch your holiday Instagram likes come flooding in.